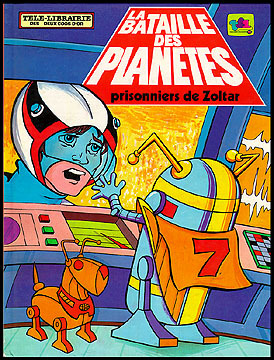 Information: This hardcover storybook contained an original "Battle of the Planets" story assembled from various elements of the American "BotP" comics, the UK "BotP" activity books, and just a bit of original French storyline thrown in for good measure. This combination of art and storyline sources makes for one of the strangest "BotP" books to come up so far. Full-color.